Comments: Signed Copy Collectible - Very Good. Signed/Inscribed by author on title page. This new series spotlights the valiant efforts, personal sacrifice, and cooperative spirit that characterize America's response to the events of September 11, 2001. Each book focuses on how organizations, professionals, and ordinary citizens responded to the September 11th national crisis, and provides historical examples of how our nation has responded in other times of crisis. 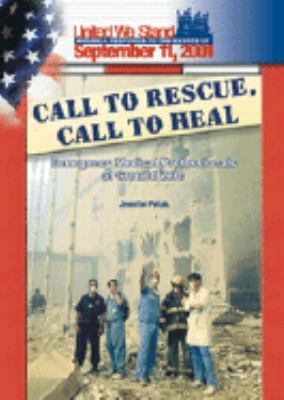 Covers the efforts of New York City's EMTs, nurses, and physicians at Ground Zero and provides background information on how our nation's emergency medical professionals have responded to other medical emergency situations.Peltak, Jennifer is the author of 'Call to Rescue, Call to Heal Emergency Medical Professionals at Ground Zero' with ISBN 9780791069585 and ISBN 0791069583. Loading marketplace prices 7 copies from $4.89 How does the rental process work?